All orders that are placed through traffic365.net are subject to the following terms and conditions. By placing an order it is understood that you have read, comprehended and agreed with these terms. These term and conditions are an agreement between you ("customer, client") and traffic365.net ("us"). They should be read and understood. All orders are placed into the advertising rotation as soon as possible (usually within 24 Hours Depending on volume) following the date ordered. (excludes orders placed on weekends, these orders will be filled on the next business day) Depending on the demand this time may be longer up to 48 hours for your campaign to start. All Traffic sent As "is". All campaigns are considered active the moment the first visitor (Hits/Traffic) is delivered to the client site. All traffic/hits will be delivered to the website address submitted with the order. In the event that there is an error with the submitted URL, the Client will not hold traffic365.net or it's Partner Sites responsible for the error. Any traffic delivered to a Client's site reflecting the above error, will not be credited or entitled to a refund. Campaign start date - Due to variances in amounts of traffic purchased at different times, the starting date may fluctuate, and we are in no way to be held responsible if your campaign does not start by a specific date. 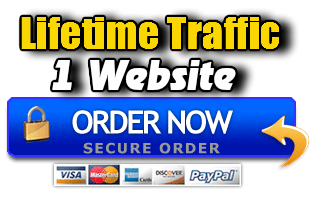 You are guaranteed that we will send the number of visitors to the URL you specify. This is the only guarantee for this service. In no event shall we be liable for any consequential, direct, indirect, incidental, punitive, or other damages whatsoever (including, but not limited to, damages for loss of profits, loss of information or other pecuniary loss) arising out of the use or inability to use the package, even if we the service provider has been advised of the possibility of such damages. If we are unable to deliver the number of visitors promised, you may claim a refund. In the unlikely event that we the service provider does not deliver the number of visitors promised, we will provide a refund of your entire purchase price on a pro-rata basis. In cases where refunds are claimed, we reserve the right to further investigate and approve or decline your request. In the event that the Client's site becomes unavailable for any reason ("server is down or unavailable, timed out, or shows to be active but with internal server errors, 404 errors and other types of common or uncommon errors associated with the internet and its underlying infrastructure"), the Client will not hold traffic365.net or its Partner Sites responsible for these errors. All/Any traffic delivered to the Client's site during this down time will not be credited or refunded. In the event that any of the above errors occur including any errors not listed but clearly intended, the client may submit in writing a request for the campaign to be placed on hold. Upon resolution of the problem the held campaign will continue. Any traffic previously sent will not be credited or refunded. We use a state of the art tracking system to track your ad campaign. Each order is given a unique campaign id which is used to track visitors to your site by day/time. When we provide an ad view, traffic365.net points the visitors to this campaign id. The client understands that if the visitor viewing the the ad closes it before it finishes loading (due to network bandwidth, high impact graphics, animation or lack of interest on the visitors part etc. ), it will count as an ad view on our system, we have sent your site to the visitor and have therefore fulfilled our obligation. It is important to note that this scenario may not appear in your website statistics. traffic365.net cannot control the acts of the individuals viewing your site and will not be held responsible for these actions. If a popup window is installed on the URL at any time, traffic365.net WILL stop the campaign and you will NOT be entitled to a refund. Client understands that traffic counters ("Hit") counters on your site do not accurately represent the number of visitors sent to your site. This is due to the large amounts of traffic sent to the site in a relatively short time frame. Client also understands that traffic365.net does not guarantee sales or signups and will not issue a refund if none are achieved. traffic365.net does not guarantee sales, nor will we be held responsible if none are generated. We will send visitors to your site. This is the only guarantee for this service. Client acknowledges that the order is for the stated term. These terms and conditions are subject to change at any time after the stated term has ended. traffic365.net will not deliver general traffic to sites containing content that is not appropriate for viewing by a general audience unless you specific order casino or adult traffic. Inappropriate content when delivering traffic includes, but is not limited to, adult content, hate text, illegal content (in the US) and content that encourages illegal activities or violence. What constitutes inappropriate content shall be determined at the sole discretion of traffic365.net. traffic365.net will review your site before beginning the campaign. If your site is changed during the campaign such that it includes inappropriate content, traffic365.net will stop your campaign immediately. In this case, you will not be provided a refund on a pro-rata basis. 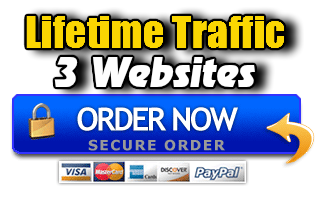 traffic365.net cannot be held responsible for factors beyond our control that may interfere with our ability to deliver visitors to your URL. Such factors include, but are not limited to: downtime on your server, overuse of your bandwidth quota (if applicable), errors on your site, popup killers and network outages beyond our servers. Please contact your web hosting company or network provider if you are unsure about whether your hosting account is sufficient for the program you are ordering. We will deliver the traffic we have promised and we will use our own tracking system to determine quantity of traffic that is being sent to client's website... in no under circumstances will traffic365.net be liable if your website's raw logs doesn't match with our tracking stats. Our traffic is redirected traffic and your own web stats might not show all the visitors that are redirected... We are not responsible for any improper use of the traffic365.net program, information, links, articles or any other content gathered from our website. All orders that are placed through traffic365.net are subject to the following terms and conditions. By placing an order it is understood that you have read, comprehended and agreed with the terms. Client acknowledges that by placing an order with traffic365.net that they have read, acknowledged and fully understood ALL paragraphs of these terms and conditions. All services are conducted on a first come, first serve basis. We try to start all services within 72 hours (typically within 24 hours) from the purchase time. However, sometimes the huge demand for our service forces us to enter orders into a queue, which fills orders as they are received. Because different tracking systems measure traffic differently, we will go ONLY by our tracking system to measure the total amount of visitors we have delivered to your website. We cannot be held responsible if your site's stats do not match to our own tracking system. Then you acknowledge that you cannot ask traffic365.net to issue refund because your stats and our stats do not match or you did not get any sales or signups. You are fully responsible from your site's downtime, bandwidth and loading images. We reserve the right to terminate any campaign for any reason without prior notice with no refund if we believe the website does not comply with traffic365.net editorial Guidelines. All sales are final. There is NO REFUND for any reason except for if we cannot deliver the traffic we promised.